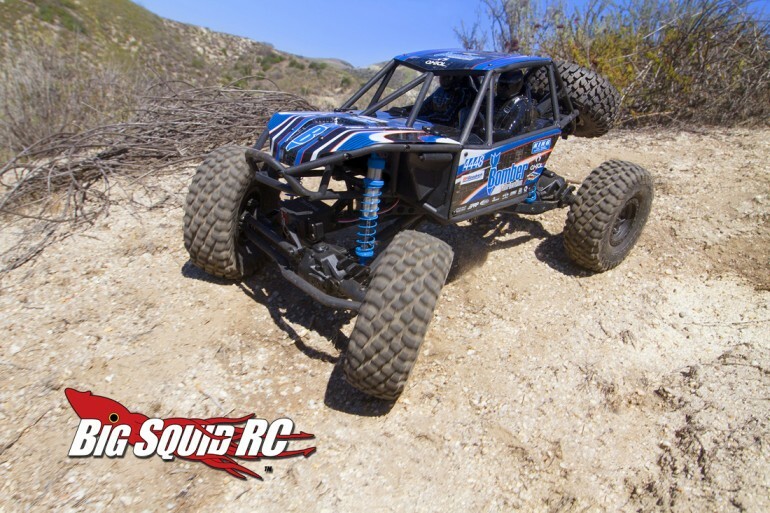 Everybody’s Scalin’ – The RR10 Looks Badass « Big Squid RC – RC Car and Truck News, Reviews, Videos, and More! Whether we are talking about the scaling genre or r/c landscape as a whole, 2015 has been pretty slow on the news front compared to many of the big announcements that took place in 2014. Well, at least that was the case about a month ago. Holy cow has the news started coming in fast and furious! If 2015 was a breather, it’s looking like 2016 is going to be a mad dash for the consumer dollar. Which brings me to the latest Axial release, the RR10 Bomber. From my point of view this is the coolest looking rig they’ve announced since the original Wraith. And speaking of that, to the people saying that this is just a rebranded Wraith, I call BS. It’s the next evolution of it. The AR60 axles have been upgraded and look to be very stout. I’m excited to see how tough the new knuckle design is in the field. They look burly and also have a more scale aesthetic than the old ones. The new battery tray under the hood is also a big win, as it’s been a mod that Wraith’ers have been doing forever. Now it comes from the factory like this. The 2 speed equippable transmission is taken from the Yeti and mates with an RR10 specific transfer case. This looks to be a very smart choice as it can take big power with no modification needed. Some are throwing shade at the inclusion of a 35t brushed system but I’m pleasantly surprised they went with this. Using a sensorless brushless system in this getup would render the crawlability of it moot without a swap to something different. As the truck is going to ship, you can now crawl with it or slap in a 3S battery to get wheel speed. There is also the obvious – the looks. This is a direct 1/10 adaptation of Randy Slawson’s infamous Bomber Fab KOH dominating truck. The scale appeal is off the charts. There is plenty more to discuss but I don’t want to get into it quite yet without having any hands-on time. Suffice it to say though, the RR10 may resemble a Wraith, but it’s definitely its own thing. This is a review that we are REALLY looking forward to.